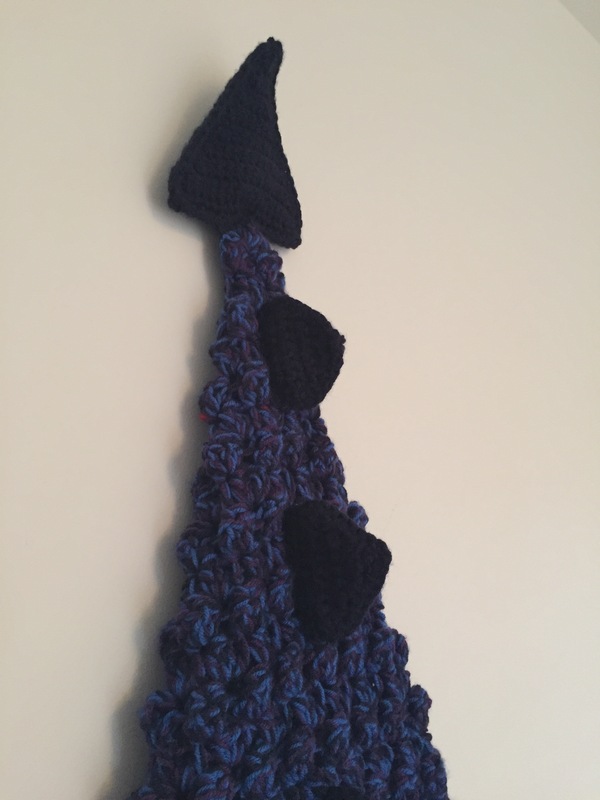 After I completed my dinosaur tail I had another idea for a tail – a dragon one, so I got cracking and completed one! I’ve still got a few more ideas for tails too so hopefully won’t be long until another pattern will appear! 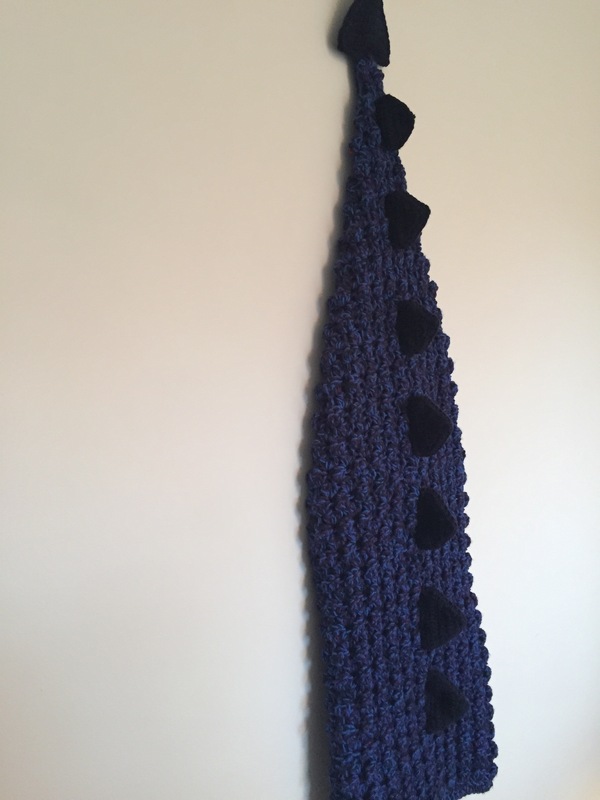 The pattern for this is available over on my Etsy shop along with my dinosaur tail, and if you would like to make both there’s a double pattern available too. 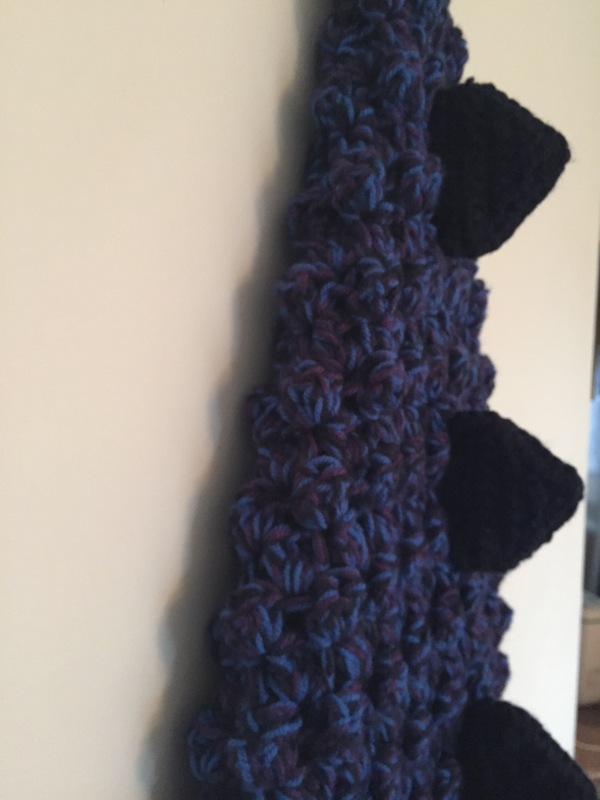 You can complete this in any colour combination, and add on more or fewer back spikes if you prefer. It can also be made to fit any size from baby to adult. Oooh I think I like this one better than the dino one but I know which one my boys would prefer! I’ve just seen your pattern bundle! Do you mind me asking how much yarn approximately I’d need for a 6 year old size? Love your dragon tail, i’m working on a mermaid tail at the minute for a friend. Love your version! 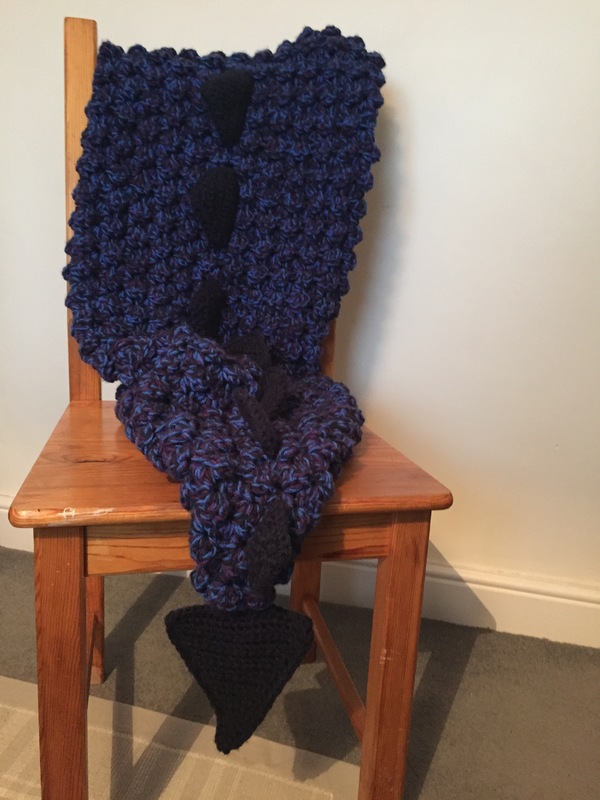 Thank you, love the tail blankets, I’ve made quite a few mermaids for Christmas presents, was good to do something a bit different!